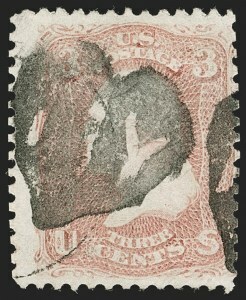 3c Rose (65). 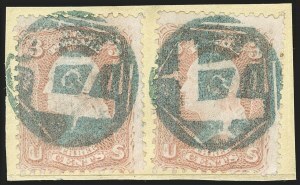 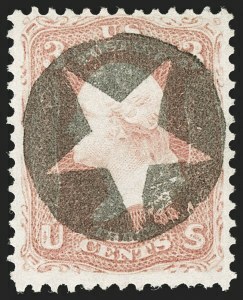 Radiant color, tied by perfect strike of Four Leaves fancy cancel (S-E PP-FI 19), matching "Joppa Village Mass. 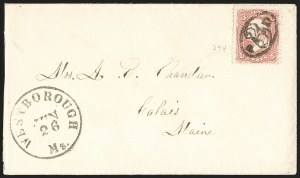 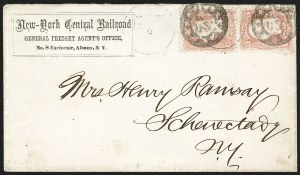 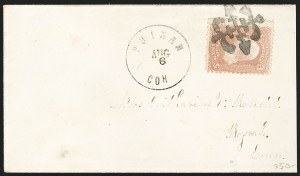 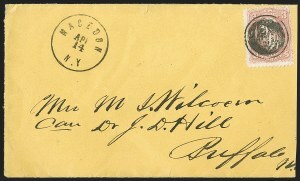 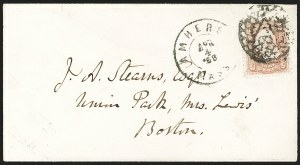 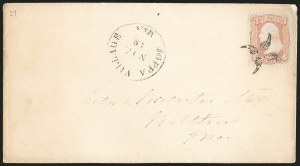 Nov. 29" circular datestamp on cover to Waltham Mass., cover with trivial edge soiling and wear, Extremely Fine strike of this beautiful and remarkably detailed fancy cancel, also known as "Flower Petals"